Granite countertops have become a popular kitchen upgrade for the average American family. Your kitchen should be a source of pride and comfort to share with friends and family. 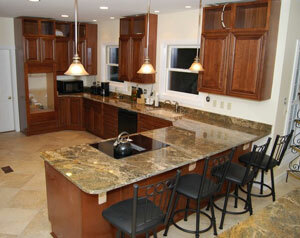 What better way to cook in style and quality than by installing granite countertops in your home? They easily transform any room in the house to a modern refinement. Your home will feel entirely new with one simple change. Granite countertops are perfect for kitchen countertops or bathroom vanities and tubs because they are not only beautiful, but also extremely resilient to years of wear. The materials that we use, which include granite, marble, onyx, quartzile, and slate are non-porous and resistant to food stains, scratches and cuts, and other chemicals. Furthermore, estimates demonstrate that when compared to houses that do not have granite countertops installed, homes that do are valued at a minimum increase of 10 percent. Homeowners in Almont have long been working with Granite House to redesign their homes. Granite House is happy to offer customers a diverse range of materials and colors that will surely reflect your taste and style. The wide range of selection available will match any kitchen or bathroom design to update the rooms without changing the original look. 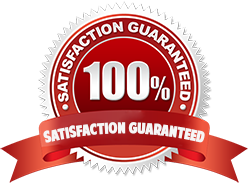 We guarantee all our customers complete satisfaction with our work and we will work exclusively with you to create a new granite countertop or bathroom vanity that will improve your lifestyle and quality at home. Almont, Michigan is a village in Lapeer County that was first established in the 19th century. Now, home to over 6,000 populates, the community has played a vital role in the development of the Lapeer and Sanilac Counties as well as the lumbering industry. Almont is located only a little more than 25 miles away from the Granite House, which allows us easy access to working closely together. Almont residents can trust us to help update any old kitchen surfaces or bathroom counters. Granite House has worked with Almont homeowners for numerous years and we have experienced great success in maintaining complete customer satisfaction by providing high quality products for cheap, affordable prices. Our experienced contractors will help you choose your granite slabs and ensure that you are informed with us every step of the installation process. The granite countertops in Almont all exemplify the rich and beautiful textures of wide ranges of dark and light hues available. Your granite surface countertop will last forever with minimal care and can easily handle hot pots and pans straight from the stove with no damage. At Granite House, we want to ensure you the best options. Click here to get a FREE ESTIMATE.